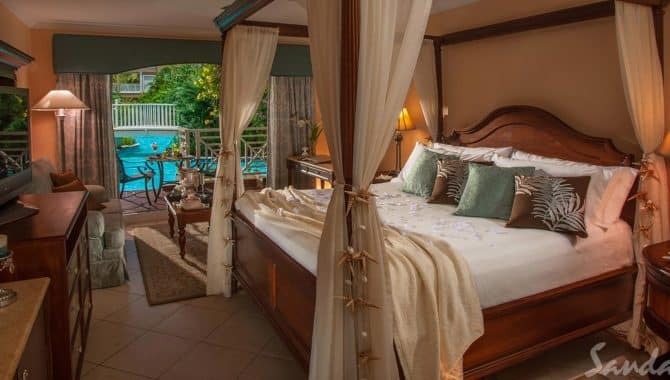 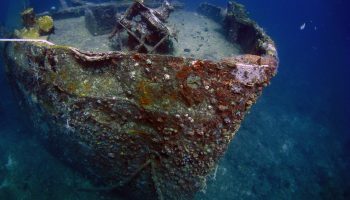 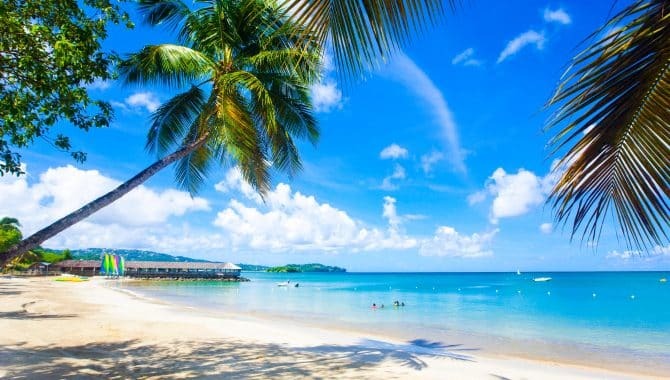 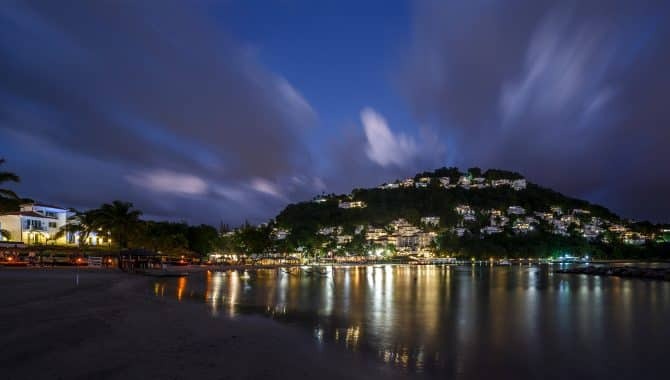 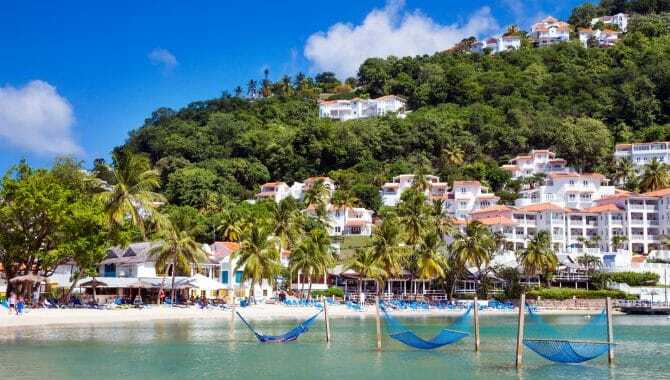 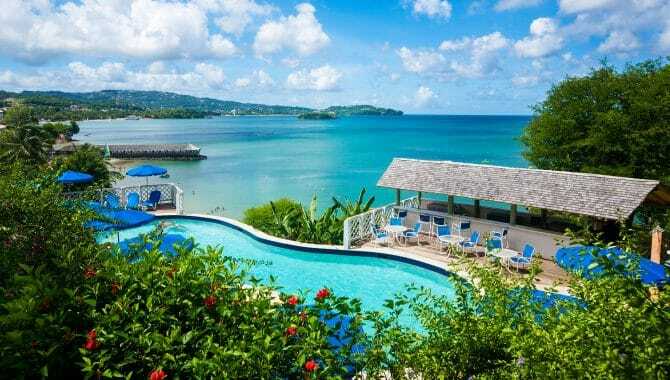 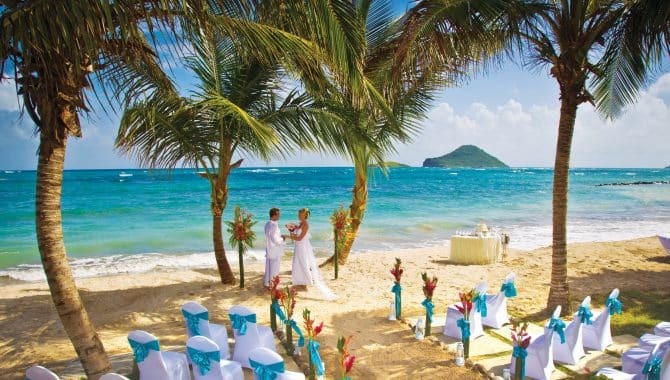 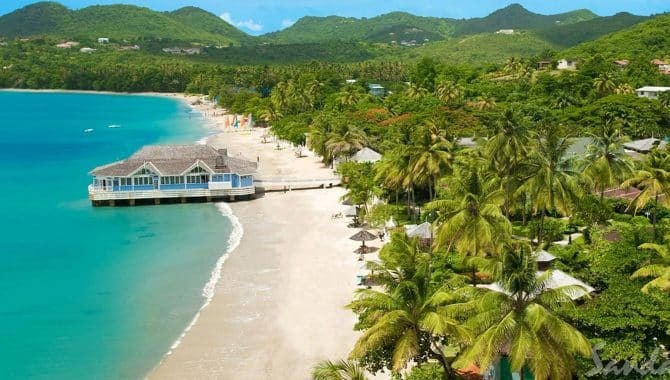 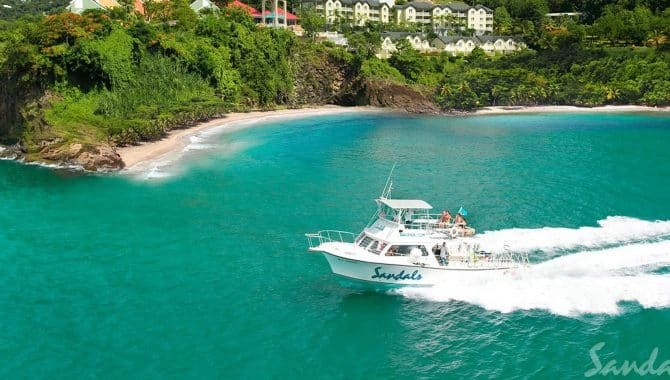 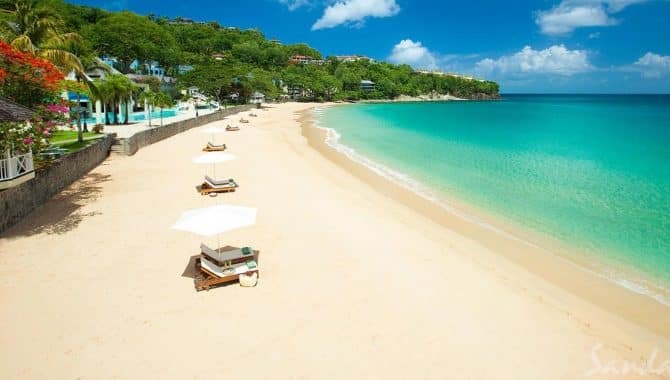 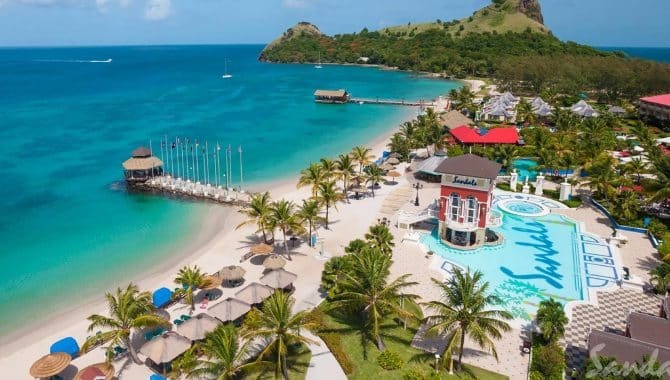 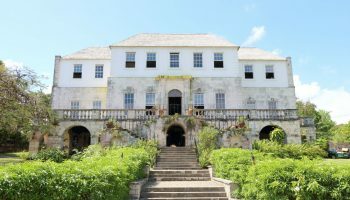 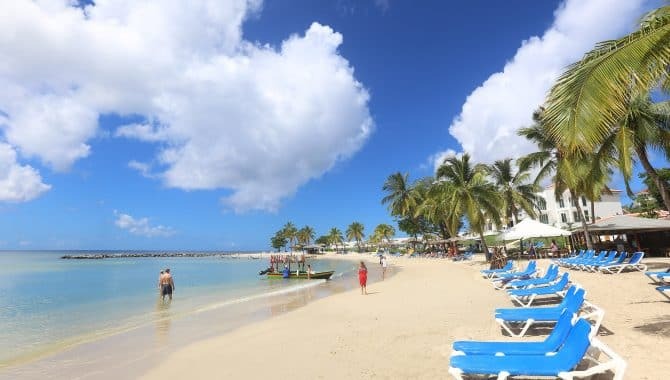 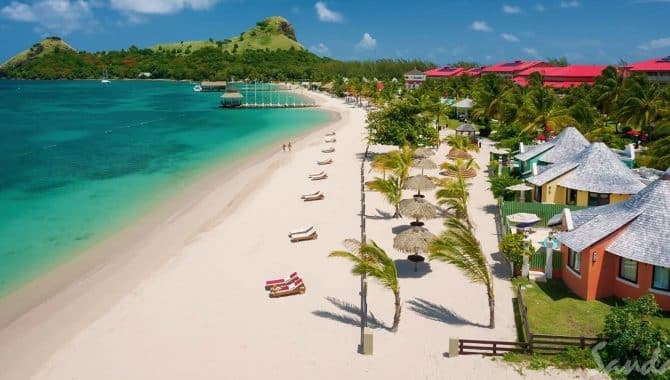 St. Lucia is best described as a wondrous paradise with lush jungle, waterfalls and volcanos above, and vibrant coral reefs filled with exotic sea life below. 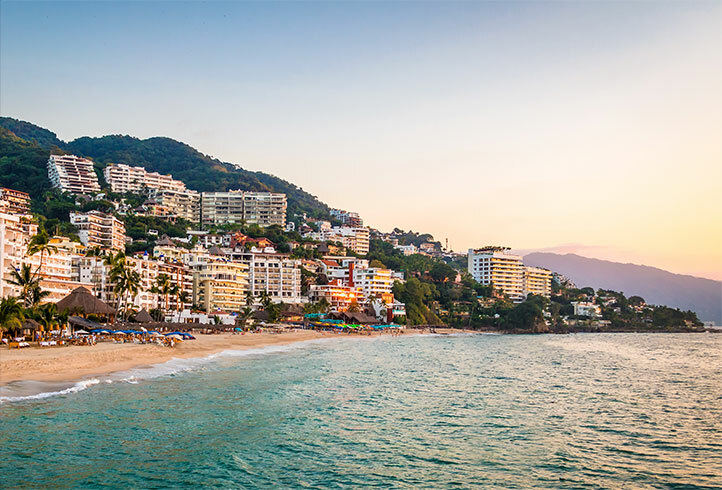 It attracts travelers of all types—lovers, families and adventurers alike. 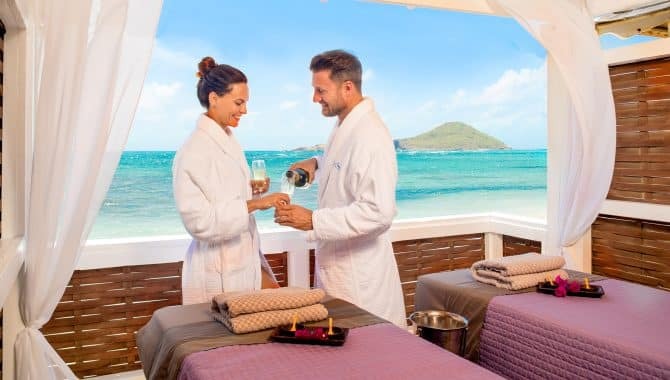 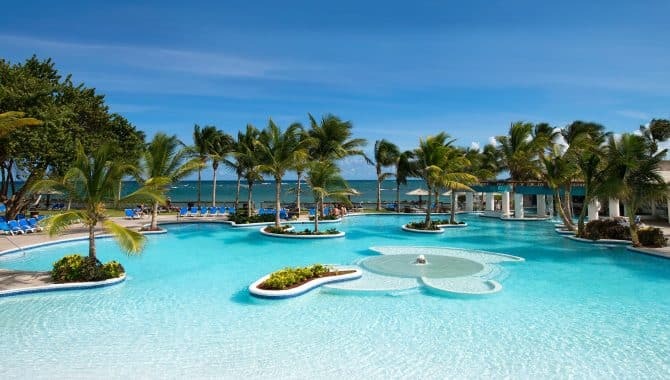 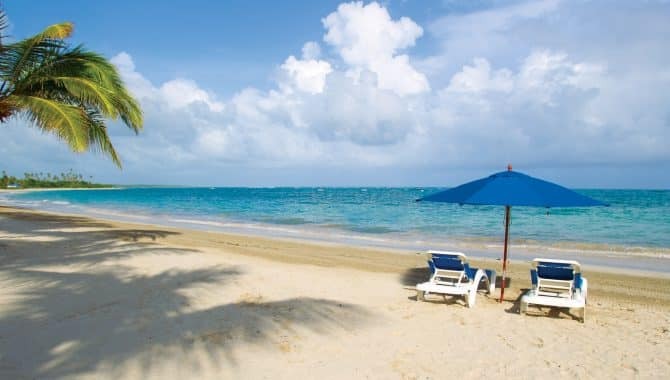 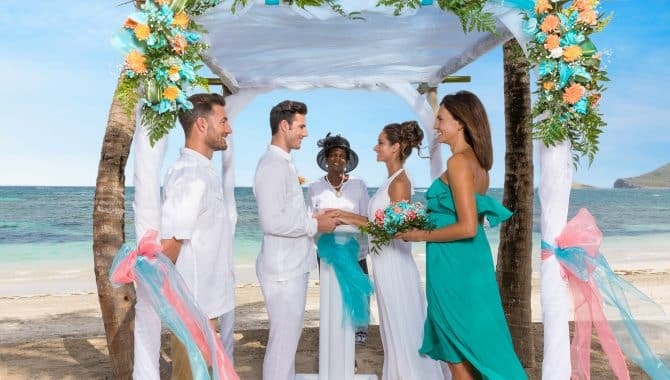 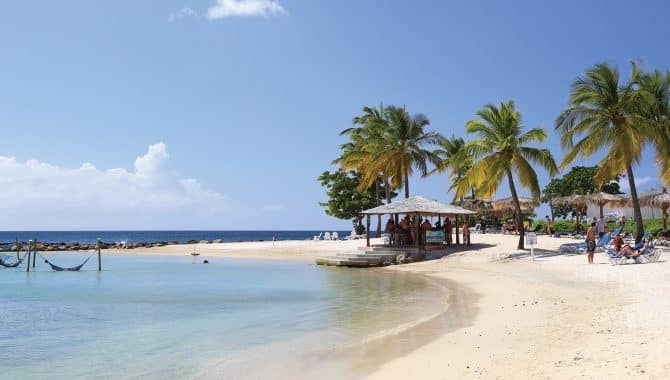 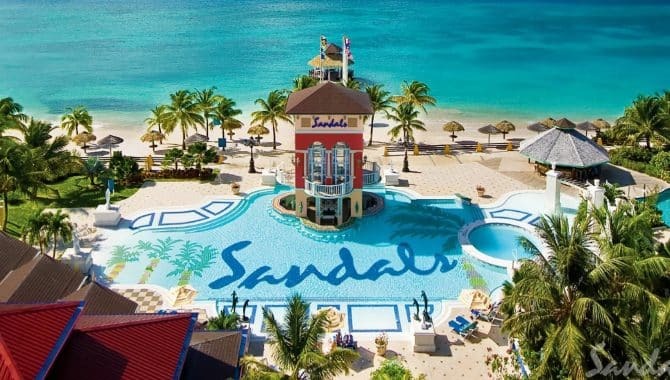 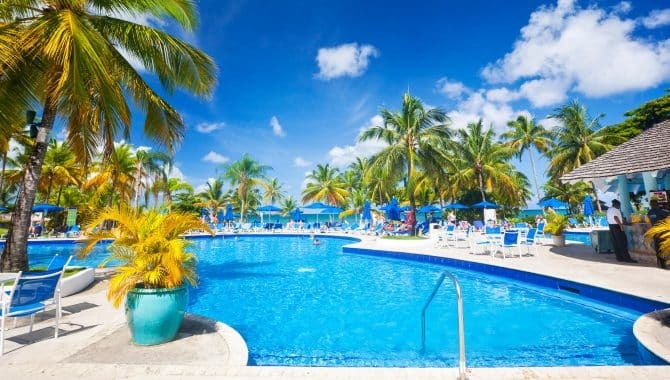 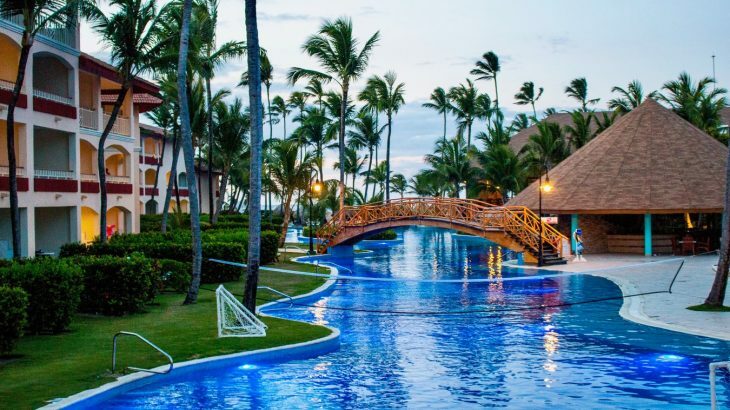 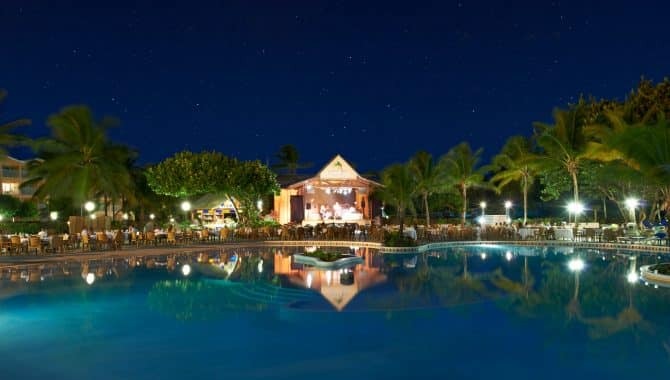 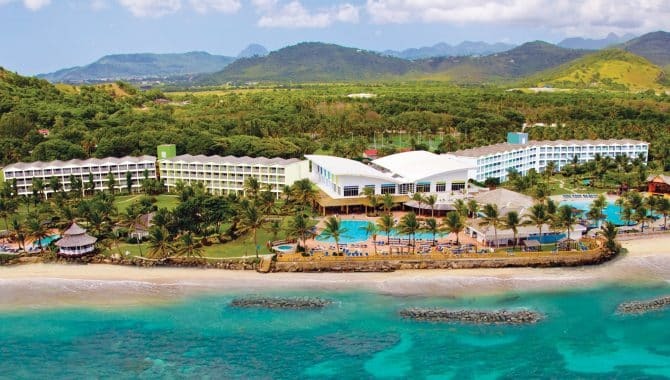 It’s an island destination you’ll want to soak up every minute of, and all-inclusive resorts can help you do just that. 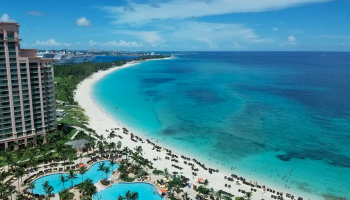 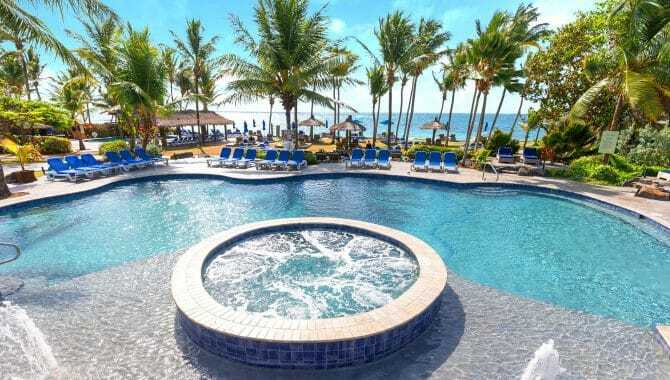 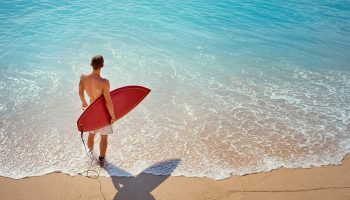 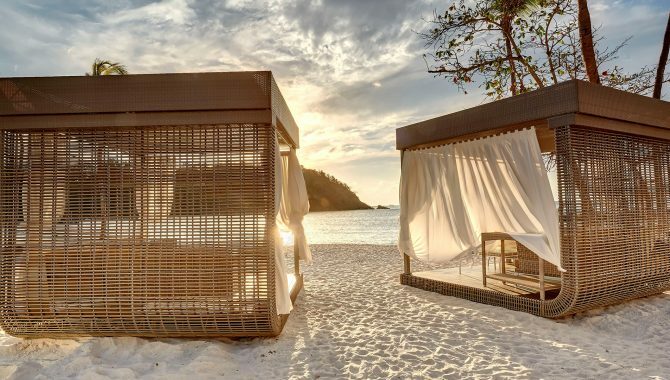 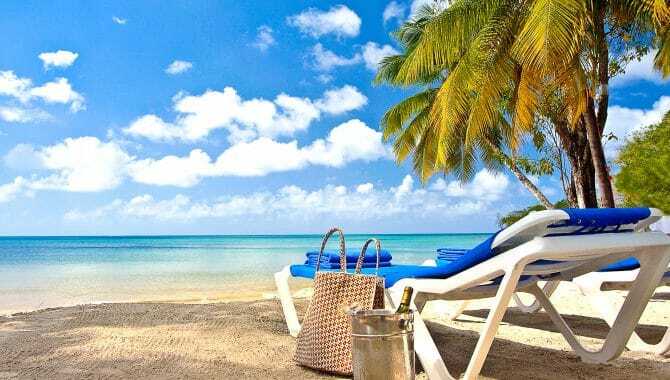 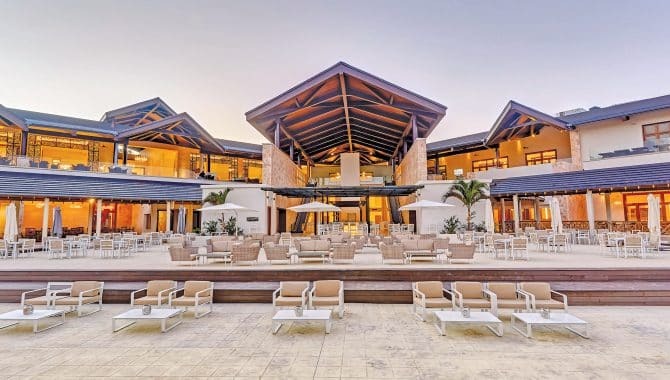 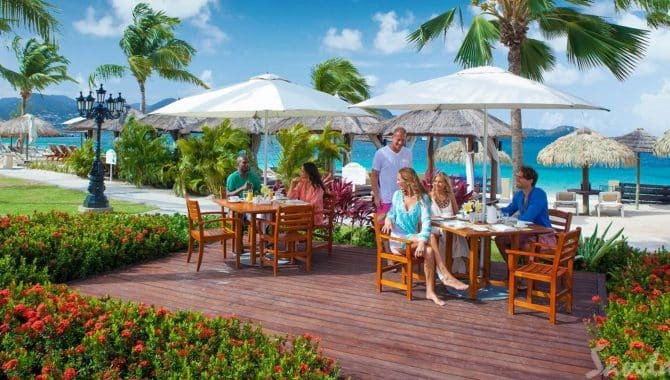 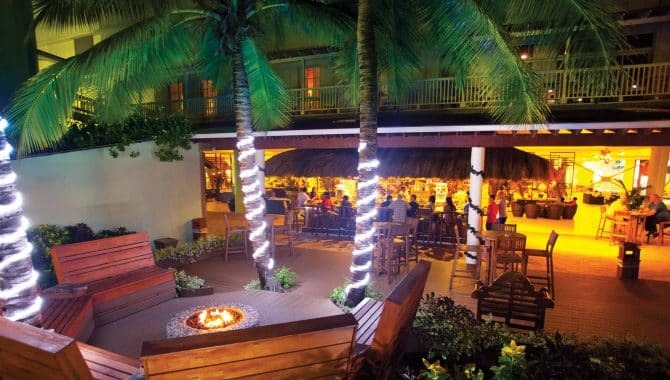 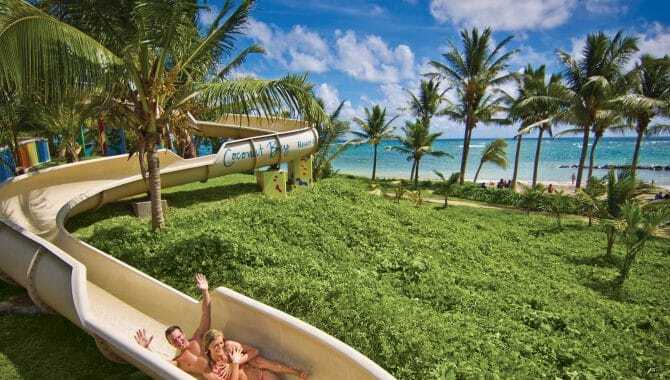 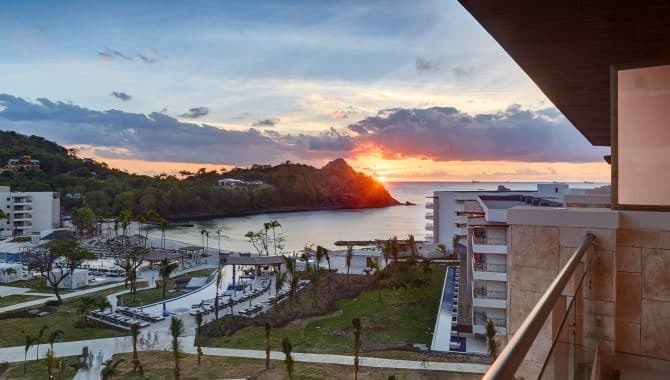 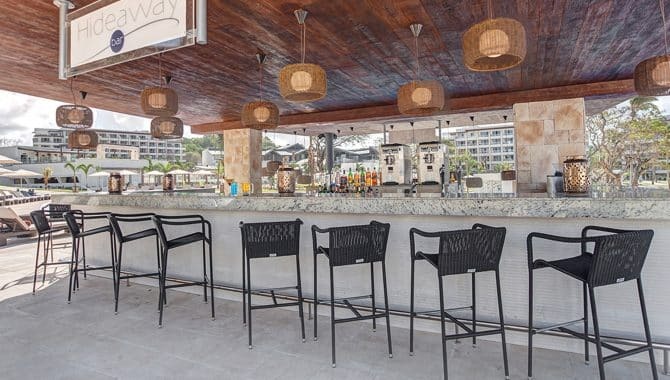 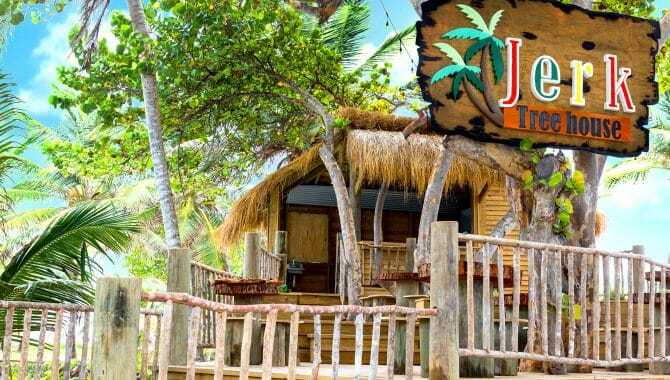 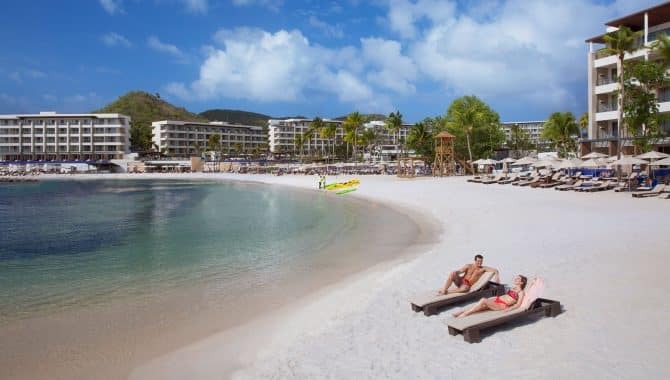 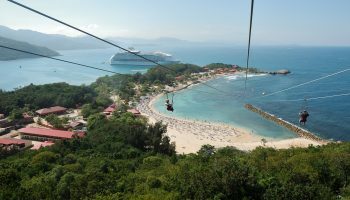 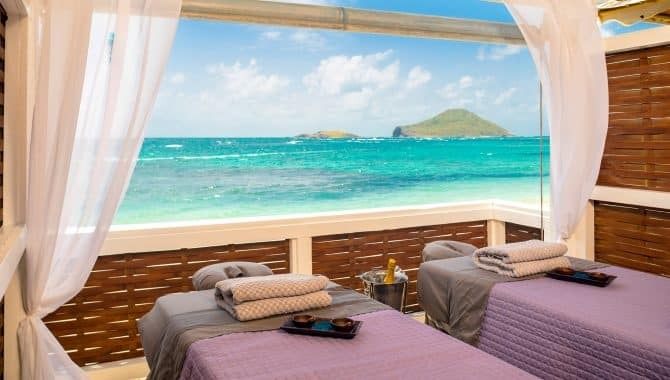 All-inclusive resorts take the hassle out of many otherwise time-consuming parts of vacation—like finding where to eat and what to do—so you have more time to explore and relax in the island paradise you traveled so far for. 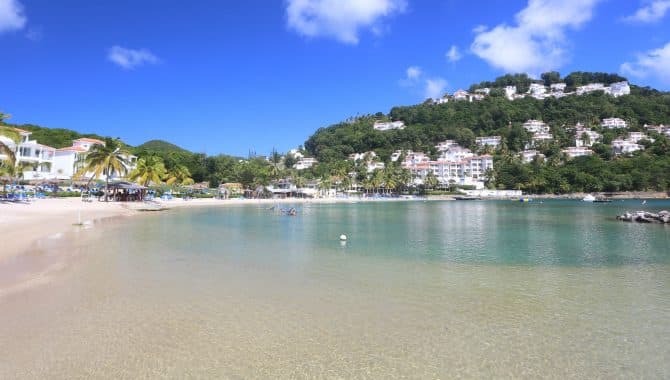 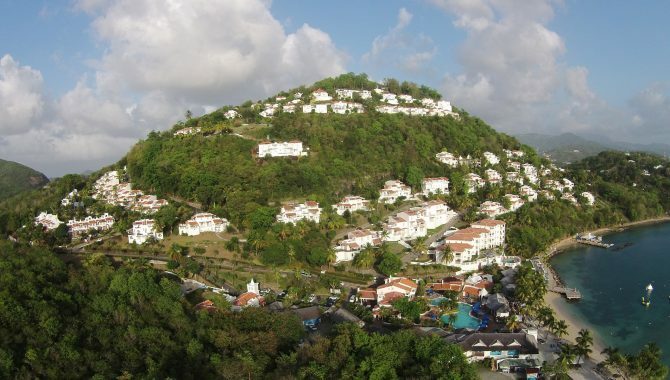 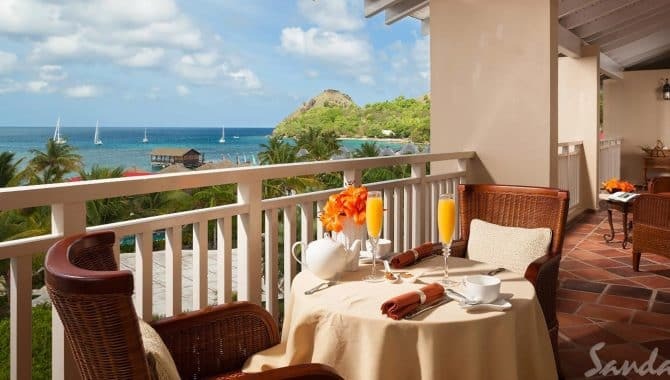 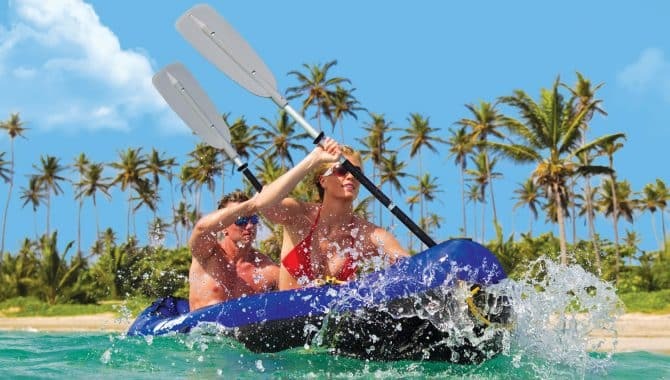 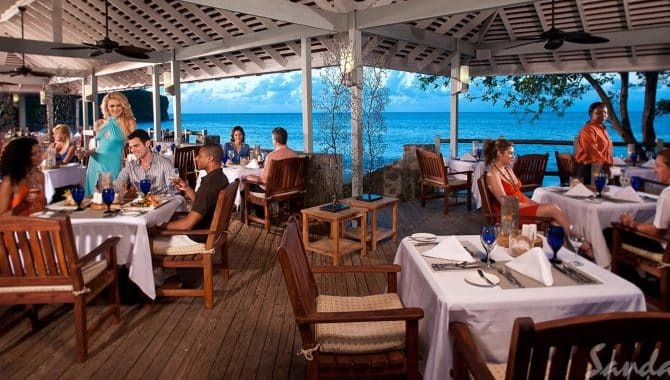 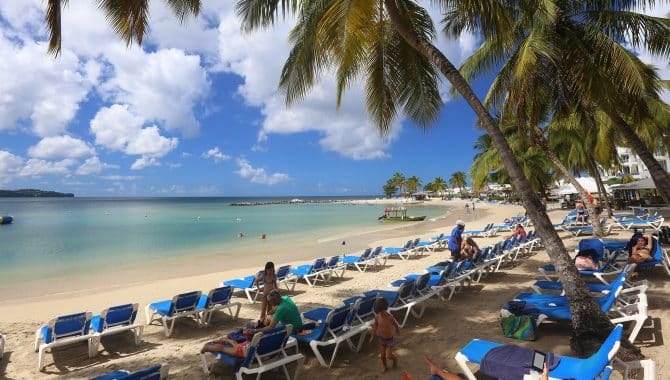 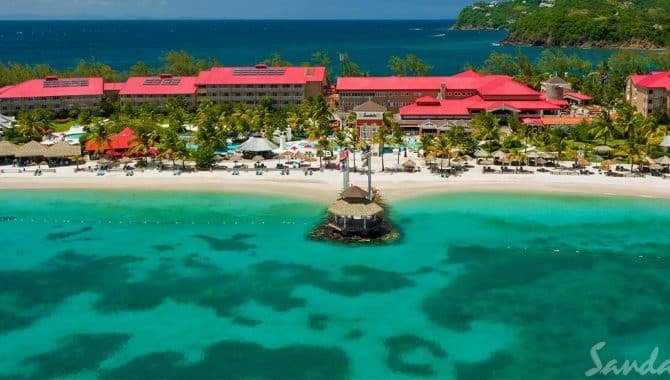 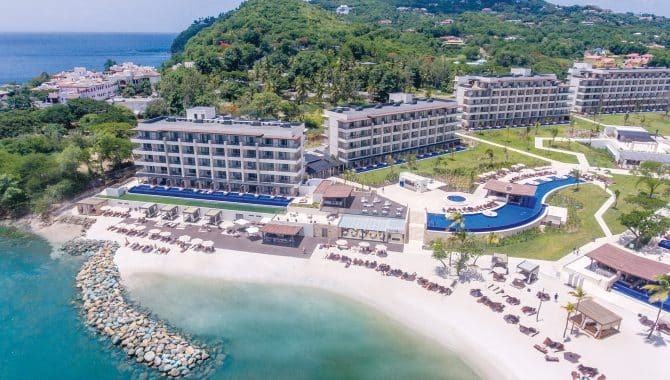 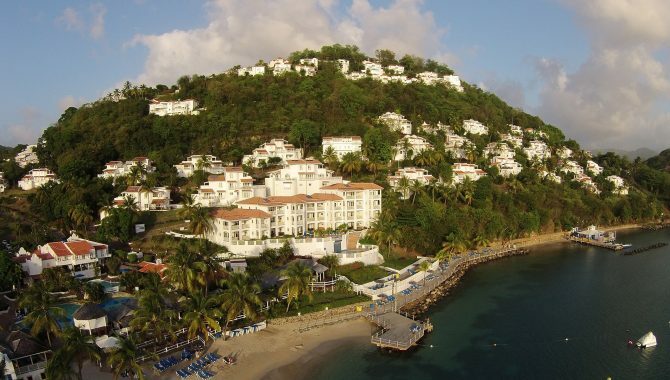 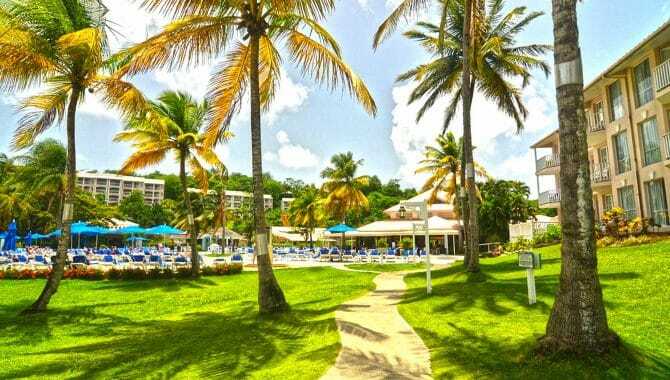 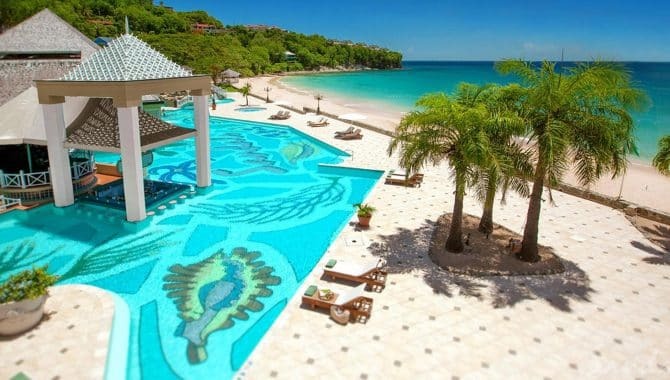 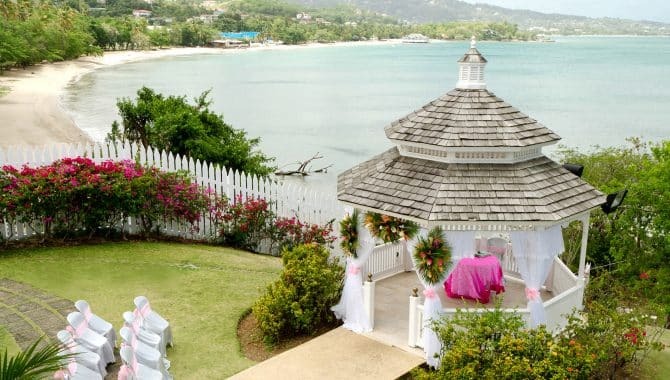 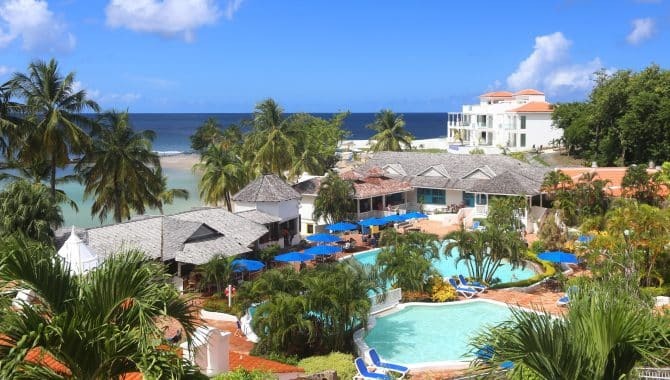 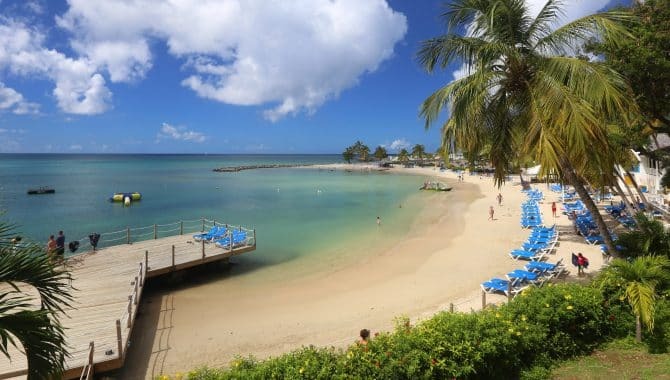 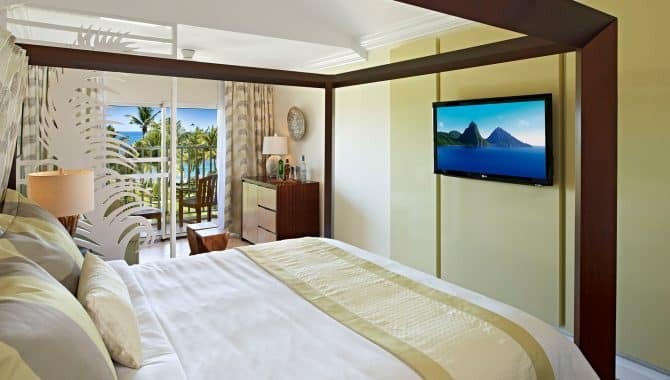 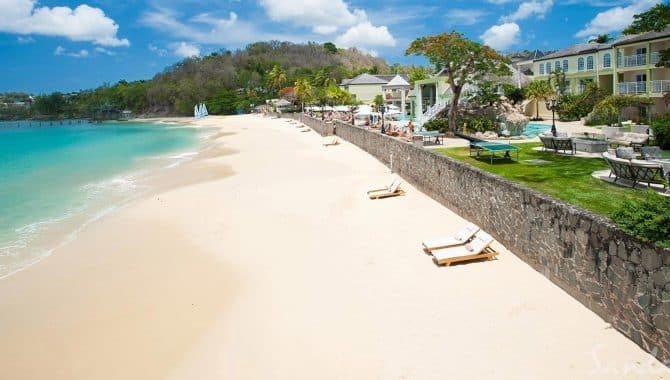 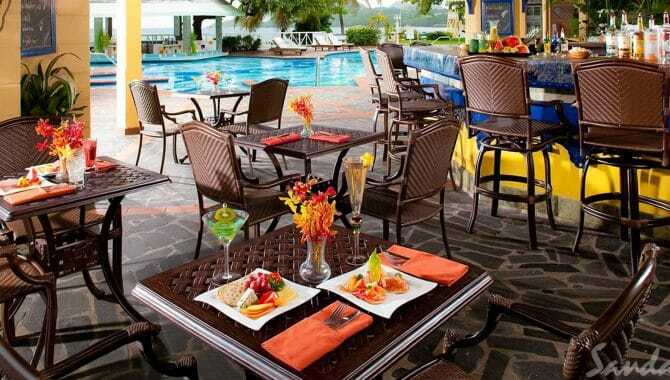 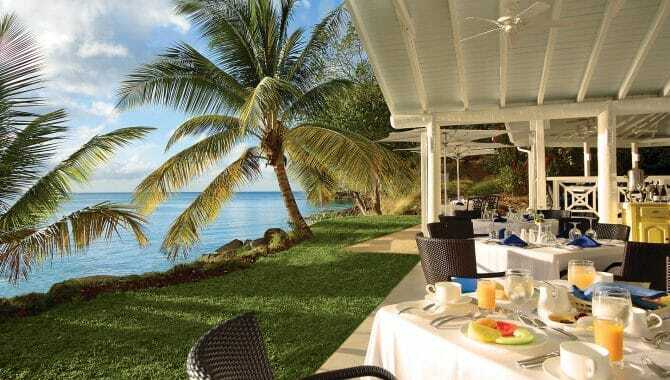 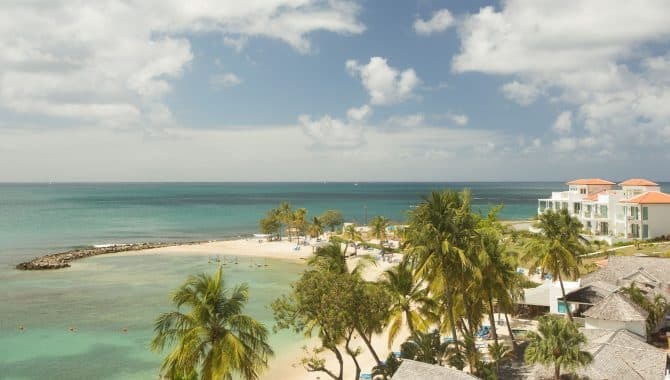 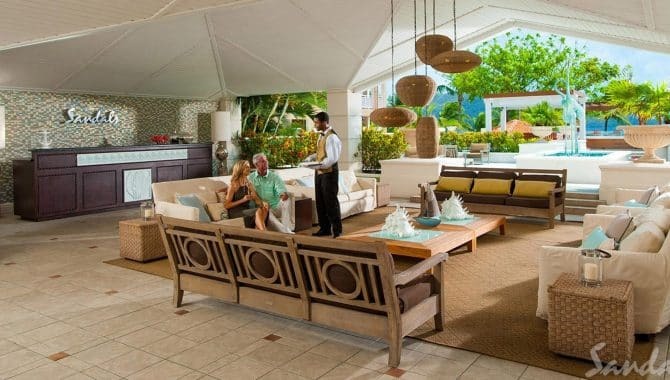 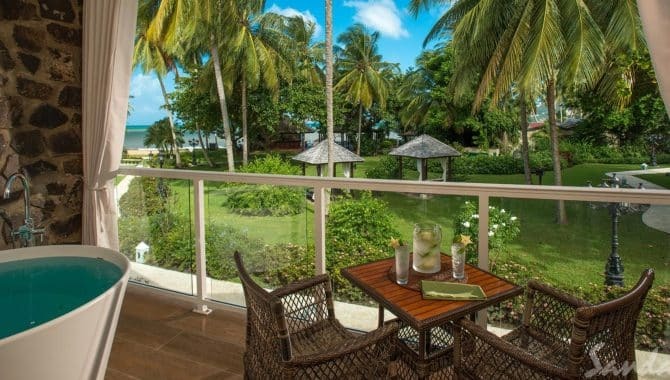 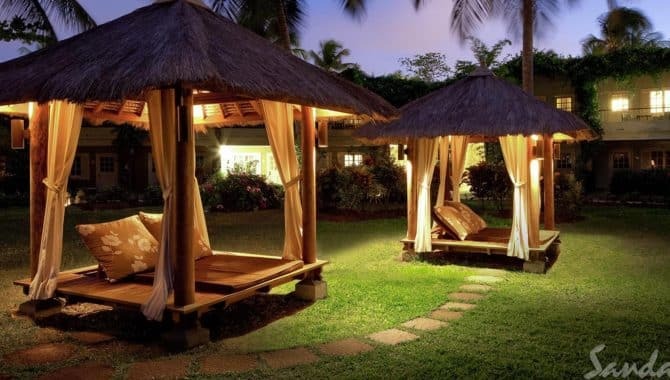 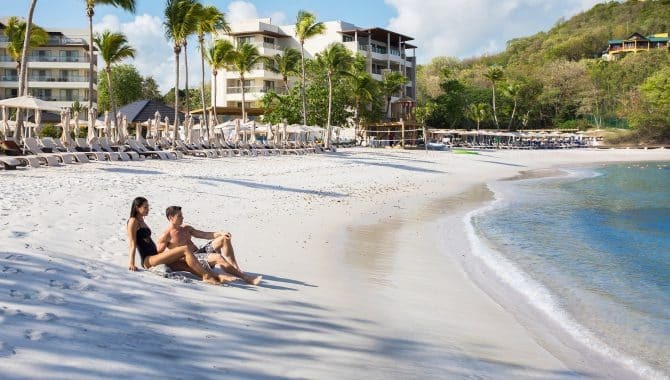 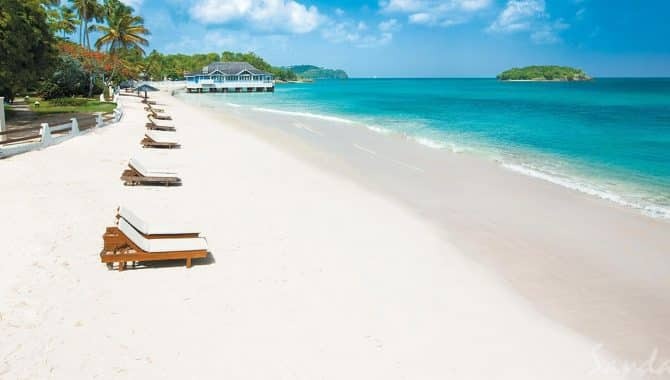 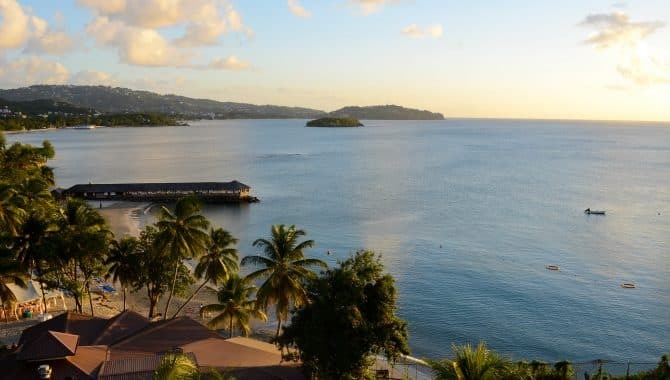 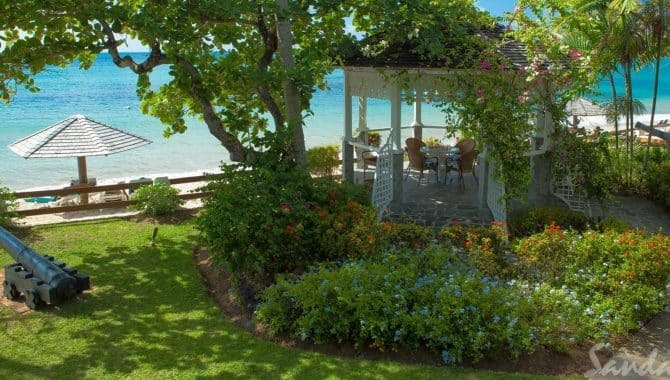 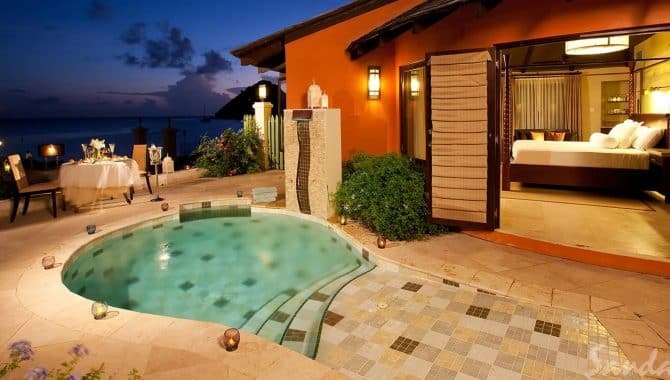 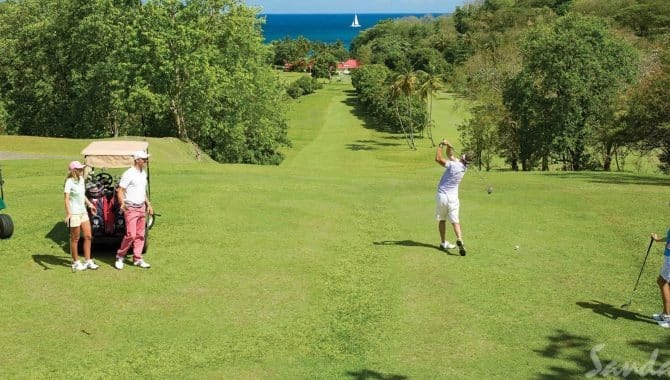 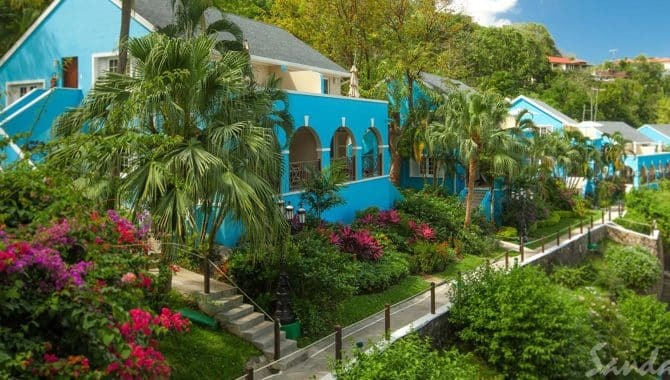 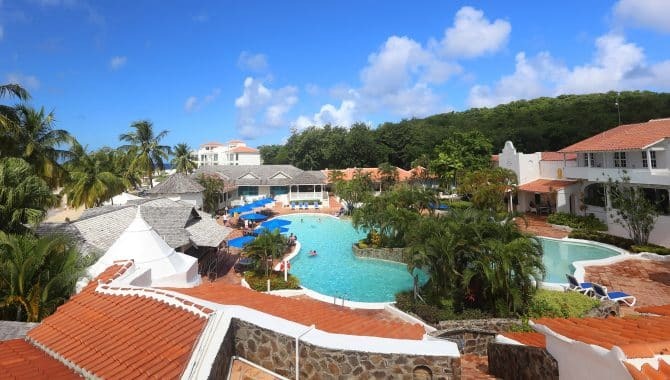 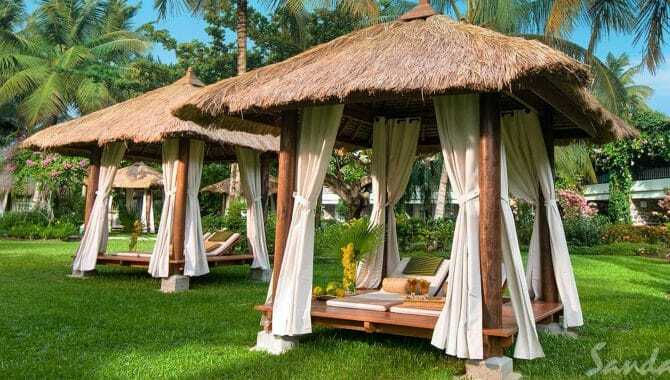 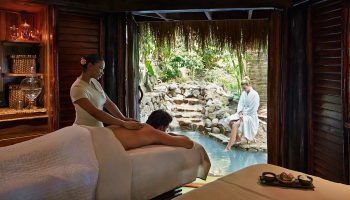 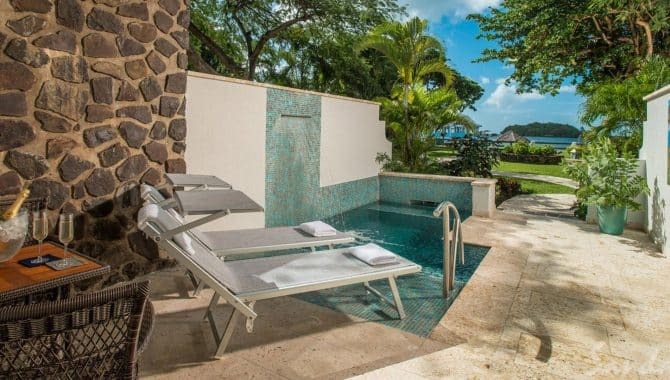 The Royalton Resort & Spa in St. Lucia offers an all-inclusive experience fit for the whole family. 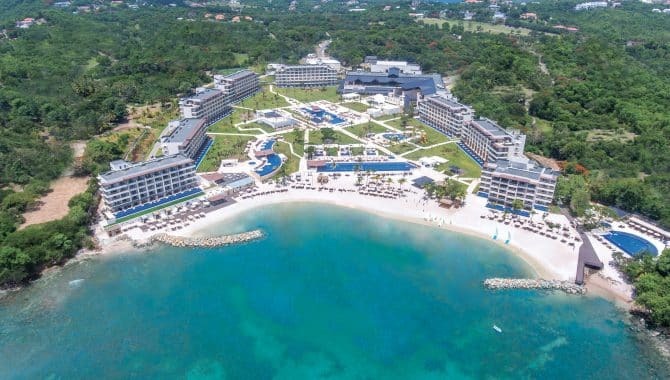 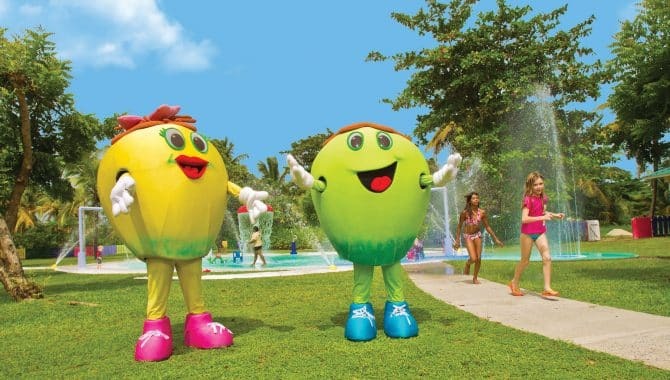 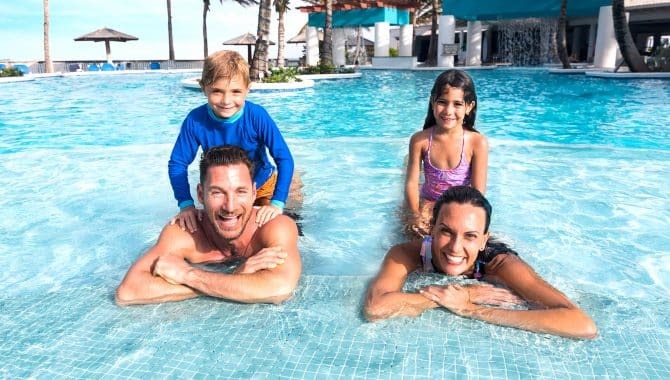 Kids’ and teens’ clubs, and a kids-only swimming pool ensure younger guests have fun while parents are sure to enjoy the luxurious spa—one of the largest facilities on the island. 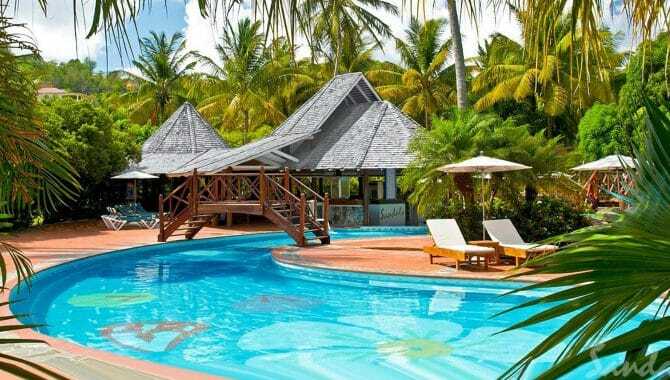 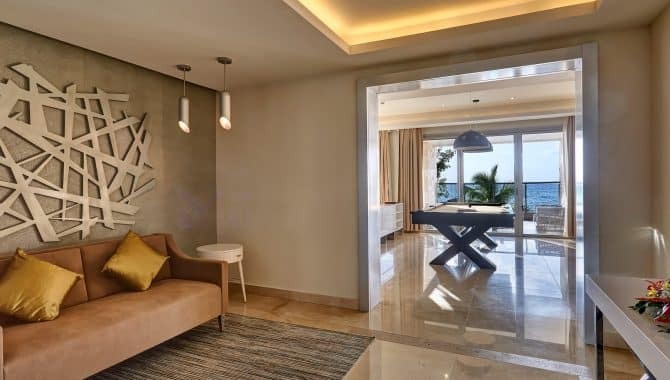 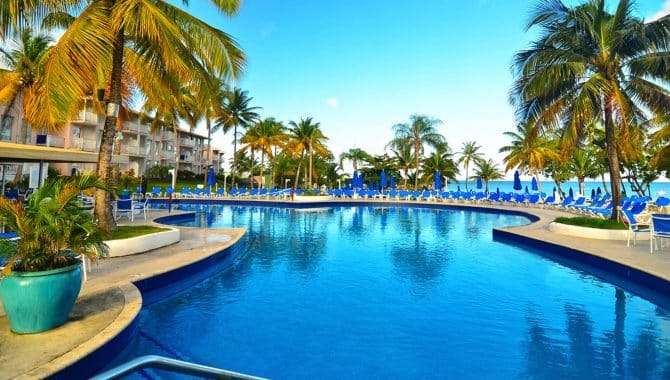 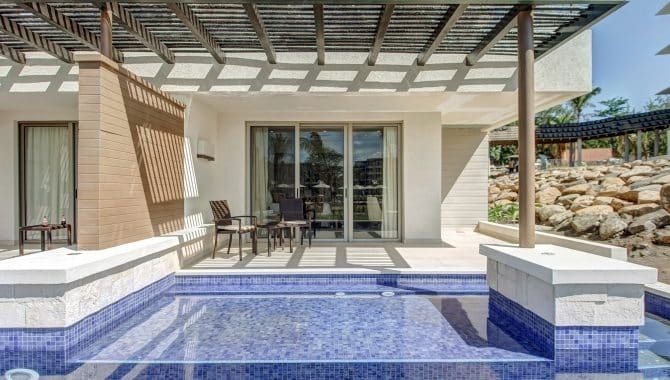 Everyone will enjoy the two large central swimming pools, as well as access to a stunning beach with room for lounging. 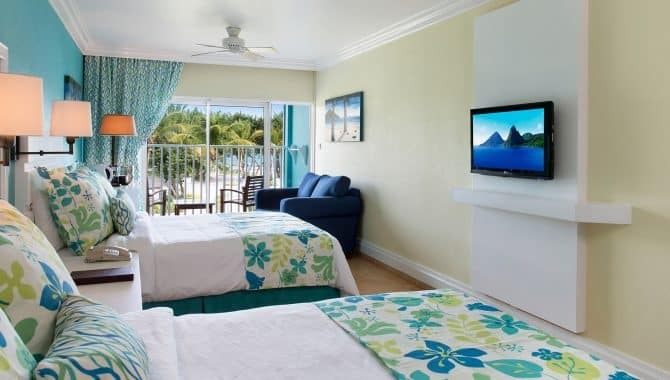 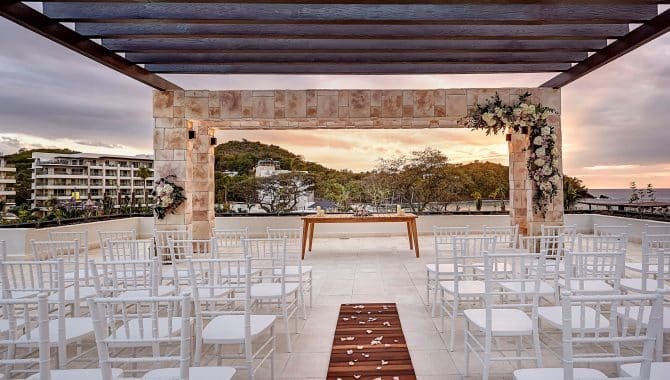 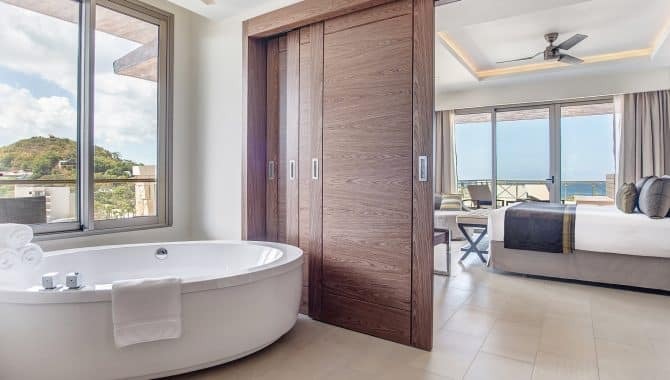 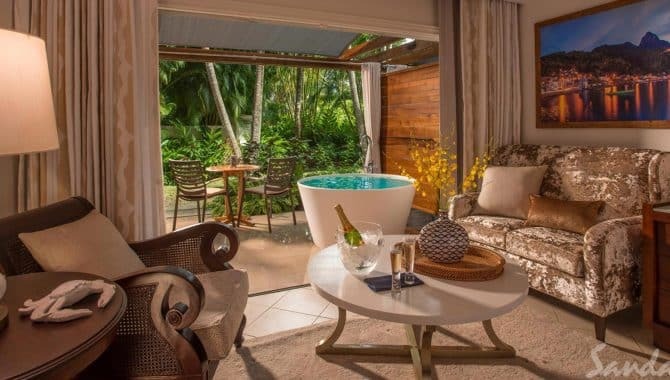 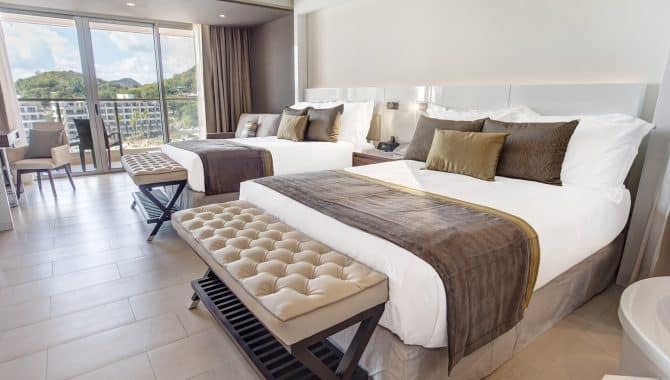 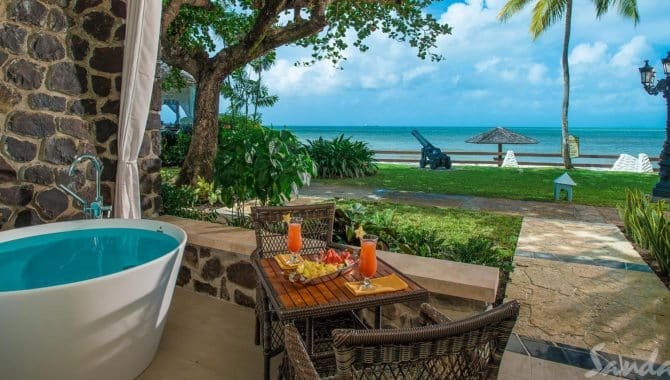 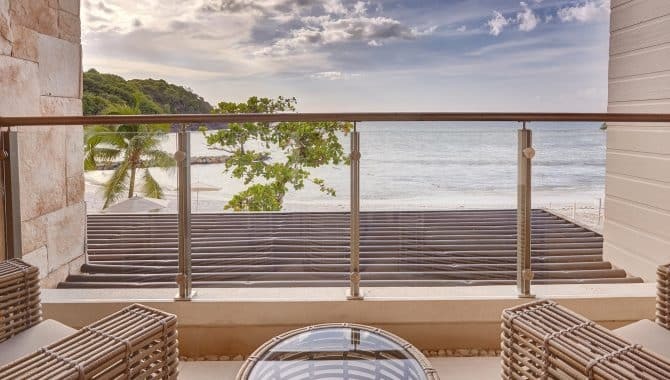 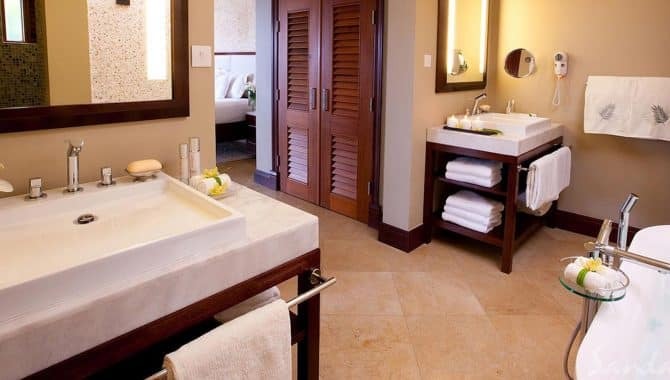 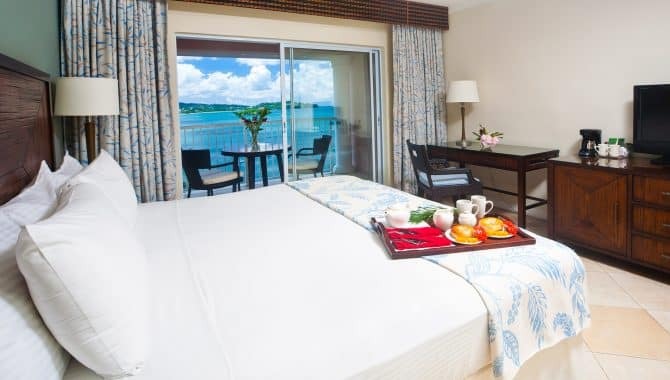 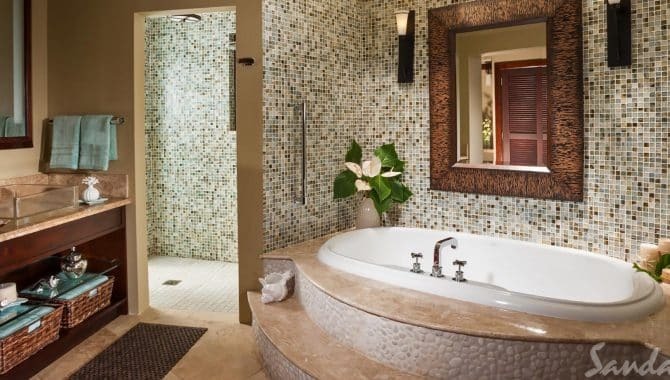 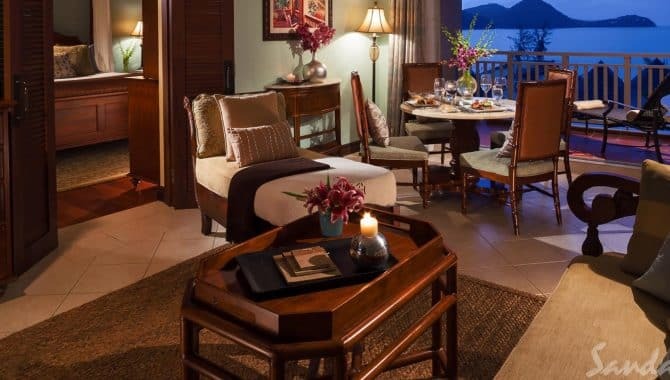 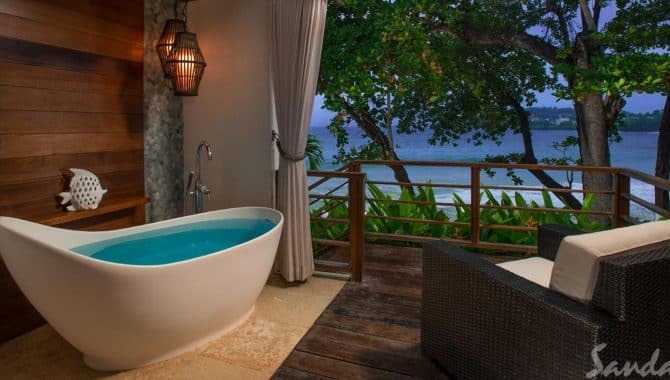 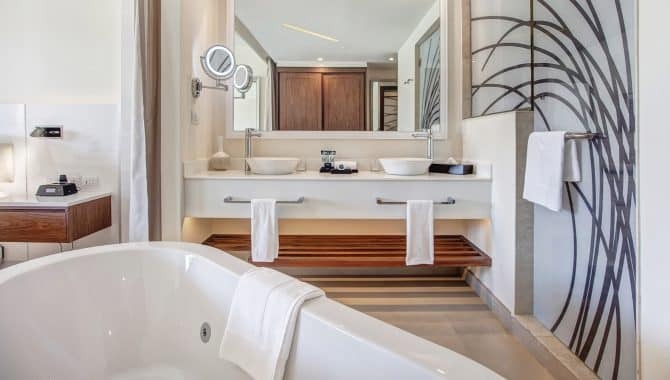 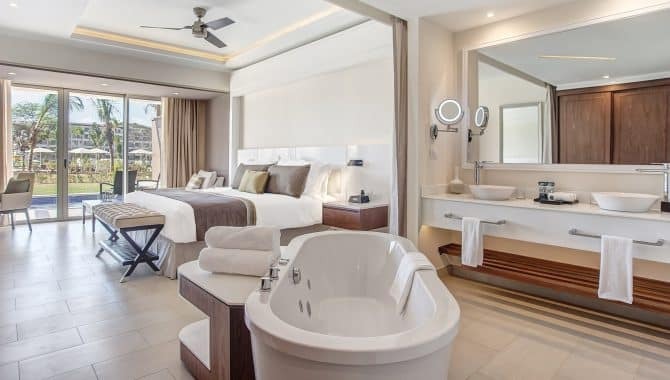 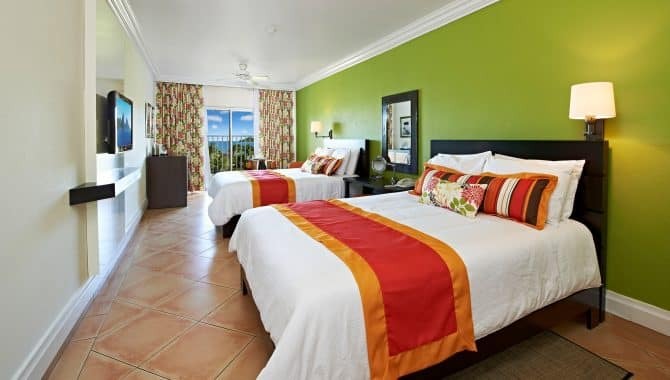 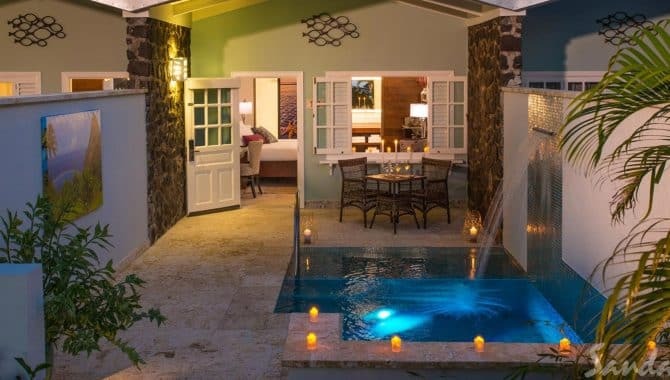 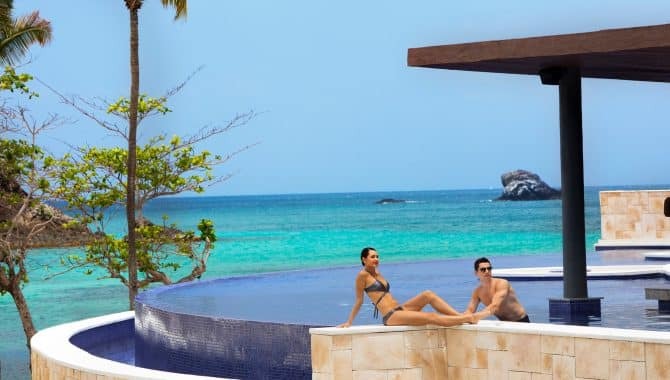 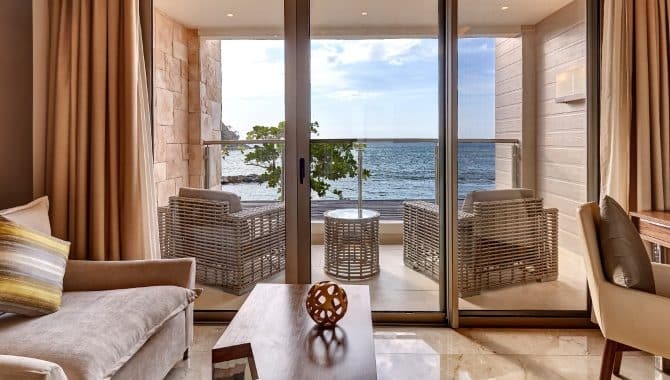 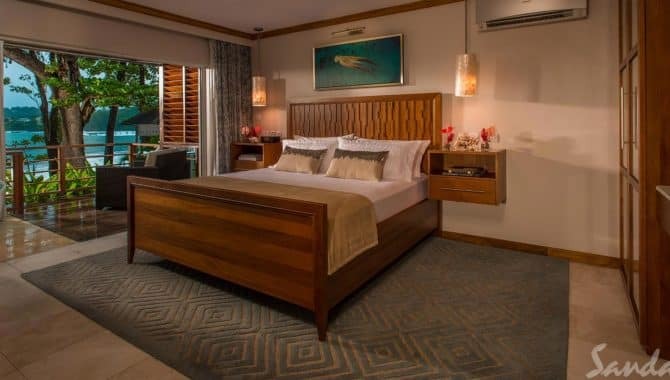 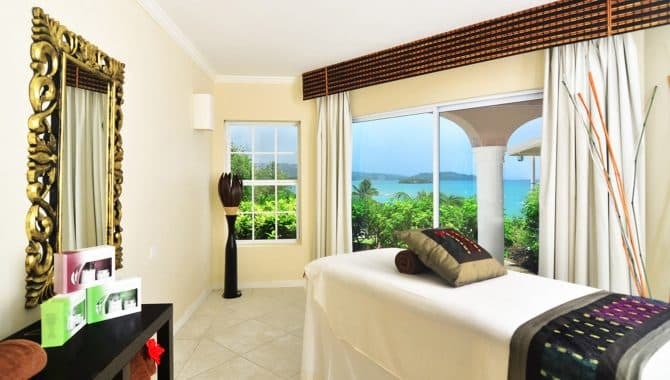 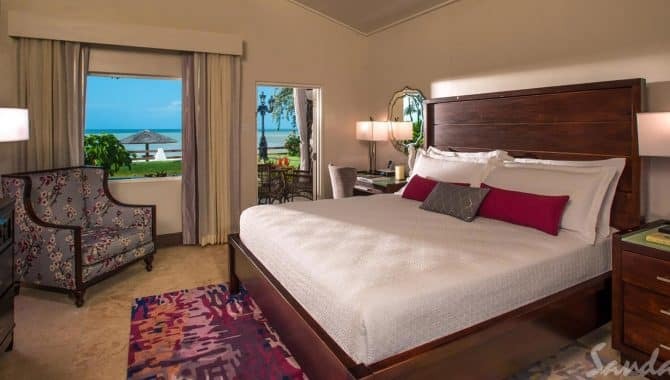 Rooms range from Luxury Junior suites with balconies or terraces—with some overlooking the property and other, upgraded rooms offering oceanfront views and their own plunge pools—to spacious Luxury Family Suites, ideal for larger groups and families. 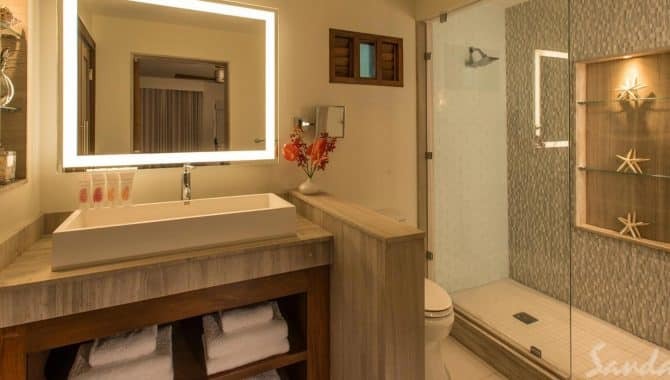 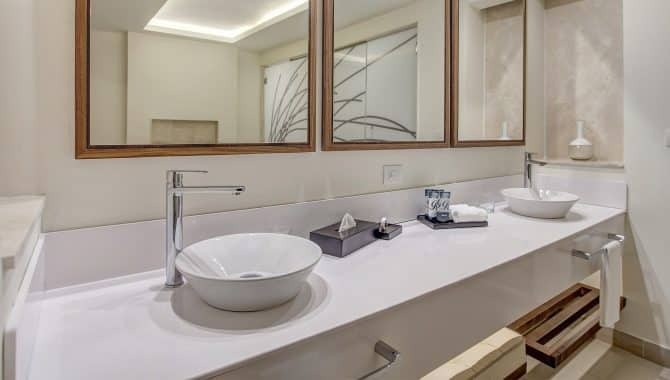 All come with ultra comfortable Royalton Signature DreamBeds, as well as other standard amenities like WiFi and flat-screen TVs. 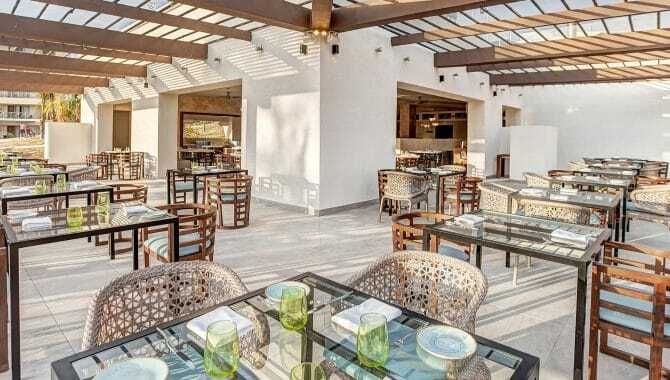 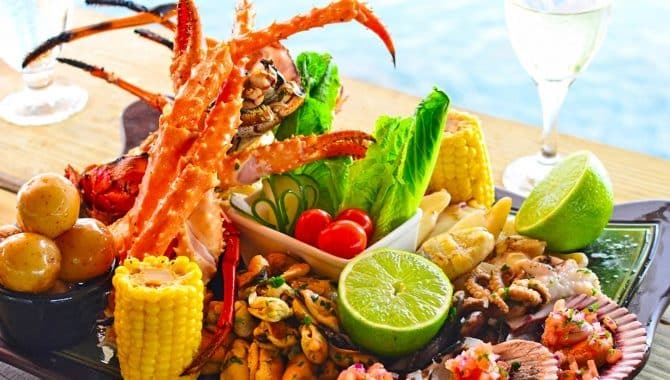 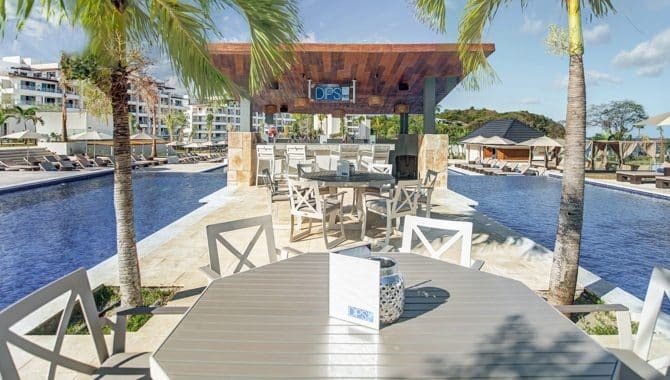 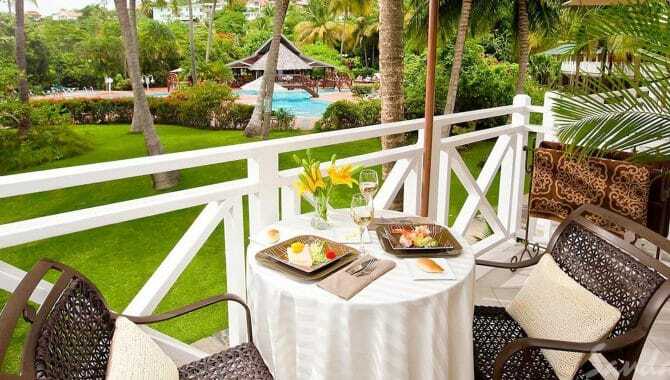 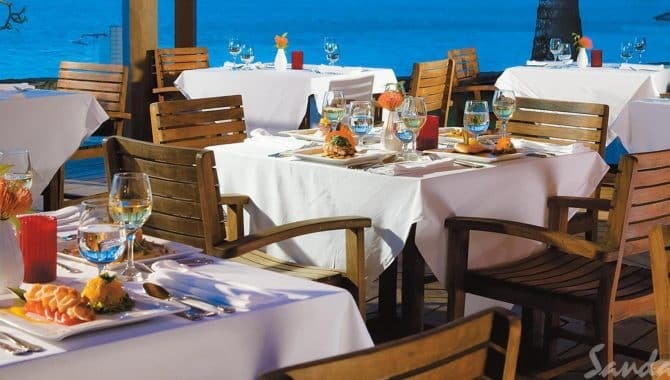 The Royalton offers numerous all-inclusive dining options in the evening, with Gourmet Marche providing guests with buffet-style meals at breakfast and lunch. 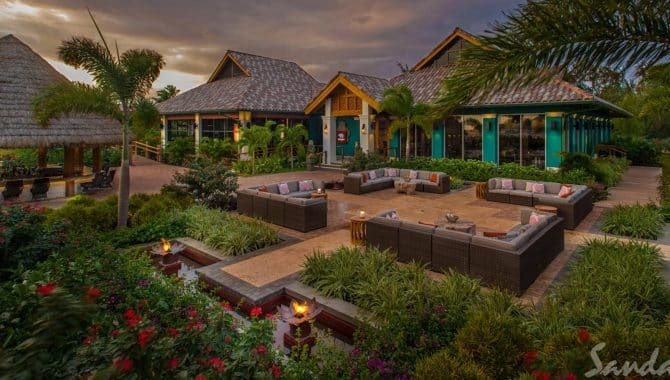 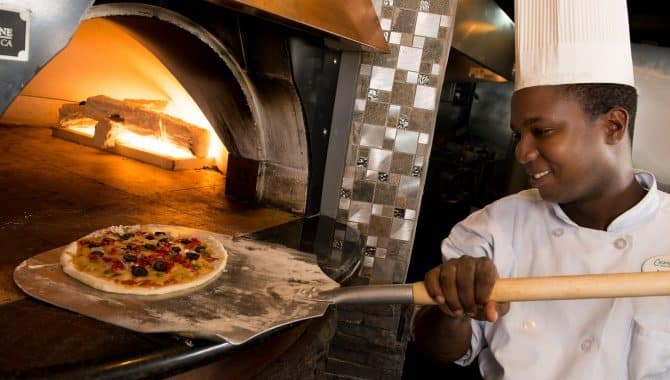 Enjoy a taste of the Caribbean at Calypso, a perfectly prepared steak at Hunter Steakhouse, Japanese cuisine at Zen and hearty Italian fare at Grazie Trattoria. 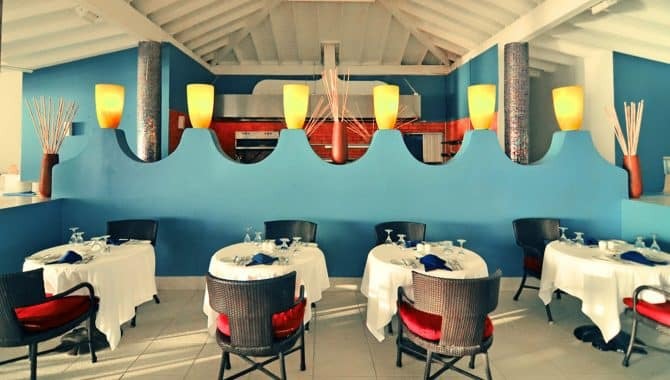 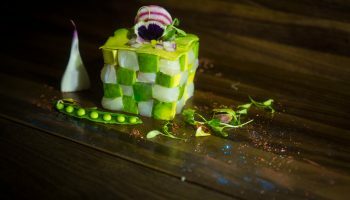 You can even request an intimate tasting table meal at Culinary Experience upon request. 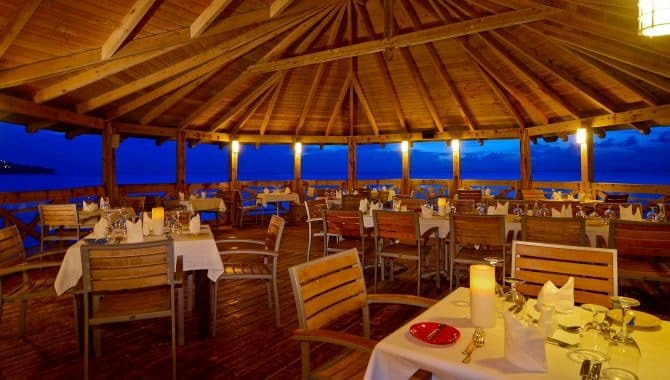 Best of all, no reservations are required, so head wherever you like when evening hunger strikes.